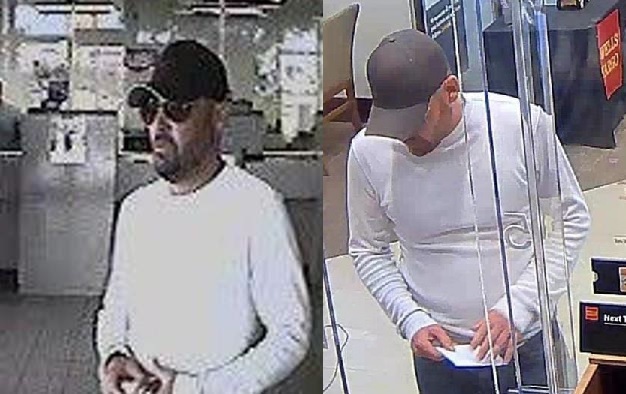 LOS ANGELES >> The FBI is seeking a serial bank robber they’ve dubbed “The Dual Valley Bandit” in connection with five robberies in the San Fernando and San Gabriel valleys in recent weeks. 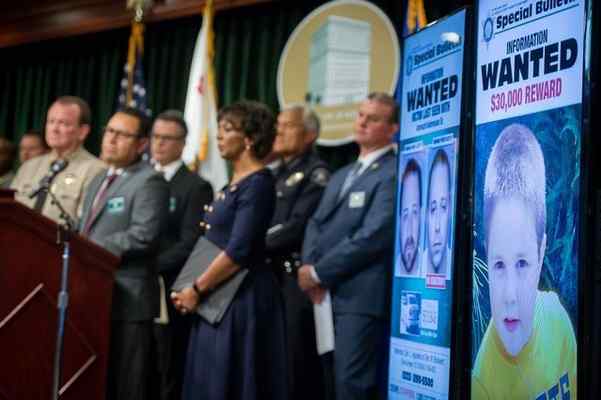 The bandit, who earned his moniker due to he geography of his heists, is believed to be responsible for two bank robberies in Burbank and South Pasadena on May 15, and three more in North Hollywood, Woodland Hills and Tarzana on May 27, according to FBI spokeswoman Laura Eimiller. “During the robberies, the suspect passes a note demanding cash in several denominations and makes oral demands for cash as well,” Eimiller said in a written statement. No weapon has been seen during the crimes, officials said. The Dual Valley Bandit is described as a white man, 5 feet 9 inches to 6 feet tall, 170 to 180 pounds. He had stubble during the robberies and was neatly dressed in casual clothing, including a baseball cap and Wayfarer-style sunglasses. Anyone with information is urged to avoid direct contact with him and call 911 or the FBI’s 24-hour Los Angeles hotline at 888-226-8443. Tips may also be submitted anonymously to L.A. Regional Crime Stoppers at 800-222-8477. 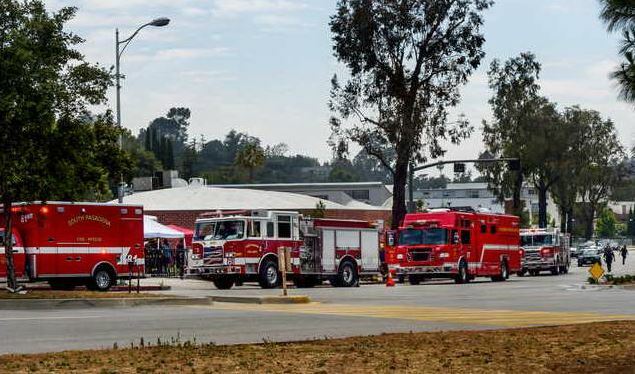 SOUTH PASADENA >> A mysterious odor possibly linked to nearby sewer work prompted the evacuation of an adult school facility in South Pasadena on Wednesday after nine people reported feeling ill, authorities said. People first reported the odor just before noon at the Almansor Transition and Adult Services/Employment Services, 211 Pasadena Ave., Verdugo Cities Fire Command Chief Mario Rueda said. “Several people reported nausea. That triggered our response for a hazardous materials incident,” he said. Nine people at the adult school who reported feeling sick were examined, according to the chief. Most of the patients soon reported feeling better, but two continued feeling nauseous and were taken to a hospital. 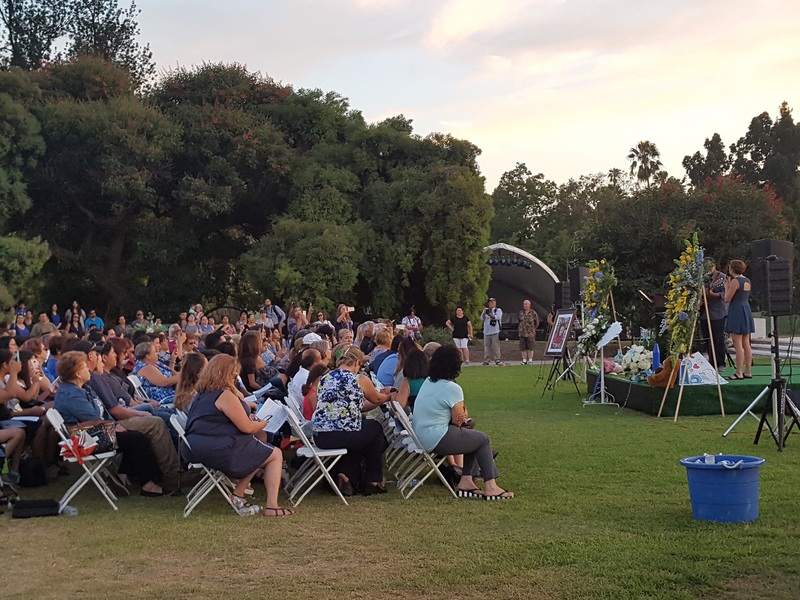 Firefighters from South Pasadena and several nearby cities thoroughly inspected the building and found no signs of anything dangerous, Rueda said. The source of the odor, which witnesses described as reminiscent of some kind of cleaning agent, was not found, he said. But officials suspected it may have been related to some sewer work being done about a block away. Fire officials ventilated the building and declared it safe to reenter a little over an hour after the incident began, Rueda said. 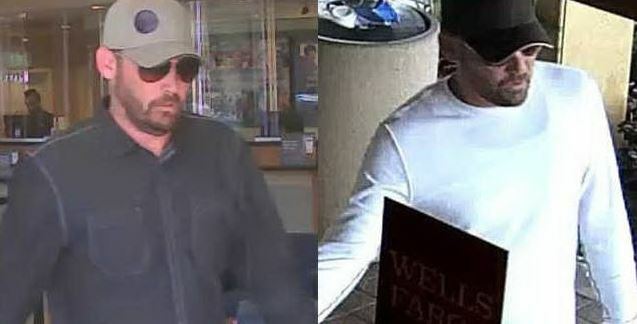 Police and federal agents are hunting for a man who robbed banks in South Pasadena and Burbank on Wednesday afternoon. The bandit first carried out a heist in Burbank about 4:20 p.m. before turning up at another bank branch 15 miles away in south Pasadena 45 minutes later, according to Burbank and South Pasadena police officials. In both crimes, the robber handed tellers notes demanding cash, officials said. No weapons were seen during the robberies. The first crime occurred at the U.S. Bank, 1750 W. Olive Ave., Burbank police Sgt. Derek Green said in a written statement. Police said the robber was believed to have fled the area in a black Ford Flex with an undisclosed amount of cash. The bandit then showed up shortly after 5 p.m. at a Wells Fargo branch, 1000 Fair Oaks Ave. in South Pasadena. Again, the robber handed a teller a note demanding cash, South Pasadena police Sgt. Spencer Louie said. The female teller handed over several thousand dollars, and the robber was last seen exiting the bank. Police described the serial robbers a man, possibly of Armenian descent, of about 5 feet 10 inches tall and 200 pounds. He wore a white long-sleeve shirt, a gray baseball cap with a white stripe along the brim and aviator-style sunglasses. He had a short beard and mustache. The Ford Flex seen in connection with the Burbank robbery was black, with a silver top, a moonroof and aluminum paneling on the sides. 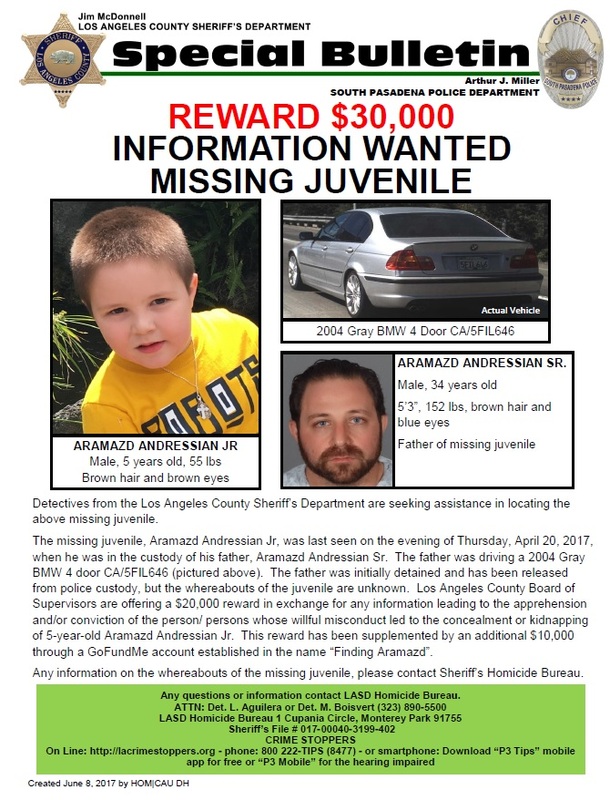 Anyone with information is urged to contact Burbank police detectives at 818-238-3210 or South Pasadena police at 626-403-7270. Tips may also be submitted anonymously to L.A. Regional Crime Stoppers at 800-222-8477. 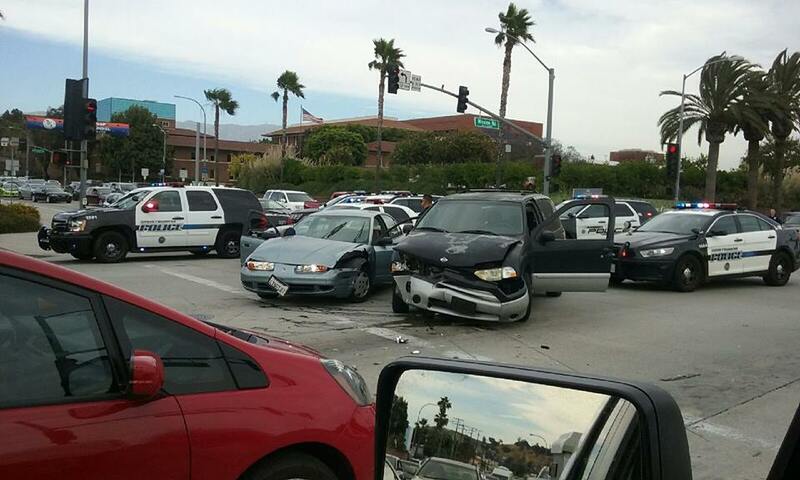 PHOTOS courtesy of the Burbank Police Department. SOUTH PASADENA >> Police arrested two South Pasadena burglary suspects after they crashed their getaway car in Alhambra on Thursday afternoon, authorities said. The incident began about 3:15 p.m. when a witness called police to reports a break-in at a home in the 1000 block of Milan Avenue, South Pasadena police Sgt. Spencer Louie said. Responding officers caught sight of a vehicle matching the suspect description driving away from the area, he said. As officers attempted to catch up with the car, but before they tried to pull it over, the car crashed into another car at Fremont Avenue and Mission Road in Alhambra, the sergeant said. Both suspect were arrested at the crash scene, he said. One complained of pain and was examined at a hospital prior to booking. A man at the wheel of the car the fleeing suspects struck was unhurt, Louie added. The suspects’ identities were not available pending the booking process. SOUTH PASADENA >> Police in South Pasadena arrested a man and woman from Bakersfield on suspicion of stealing packages, mail, credit cards and other items on Wednesday. 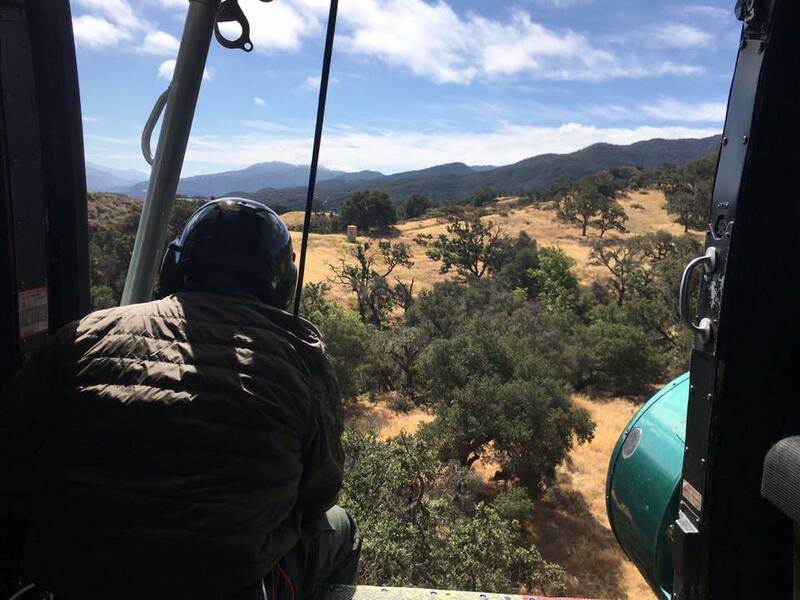 Corey Ryan Bihm, 26, and Lauren Helstrom, 29, were booked on suspicion of residential burglary, grand theft, conspiracy and identity theft, according to South Pasadena police officials and Los Angeles County booking records. Police were first summoned to a Vons market at 1129 Fair Oaks Avenue about 5:30 p.m. for a report of shoplifting, South Pasadena police Cpl. Craig Phillips said in a written statement. “During the shoplifting investigation, officers found dozens of Amazon packages not addressed to either subject inside the vehicle,” Phillips said. Police soon confirmed the packages, valued at $2,700, has been stolen from the front porch of a home in Arcadia. The suspects’ rental moving van was littered with “bags full of mail,” as well as dozens of stolen credit cards and many items with price tags still attached, according to Phillips. Police determined some of the mail had been stolen in South Pasadena and Arcadia. Officers also recovered methamphetamine and drug paraphernalia from the suspects, he said. 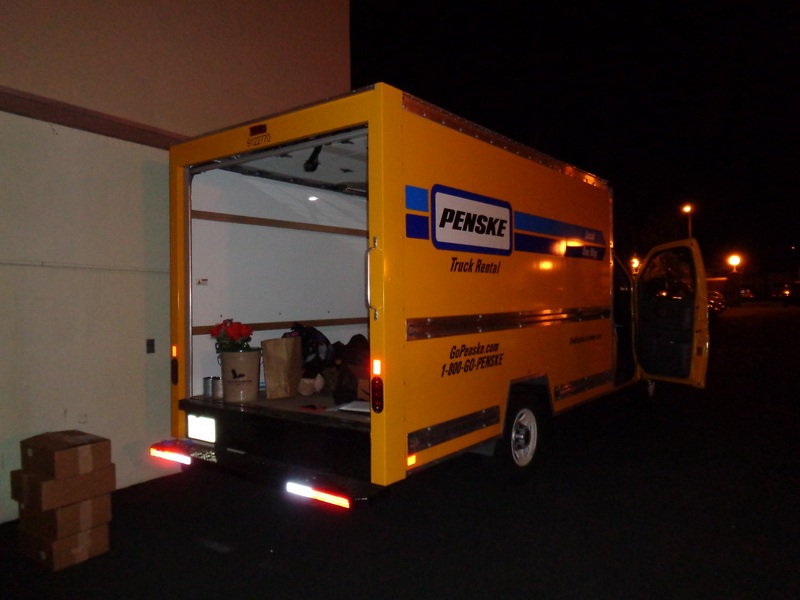 The moving van used by the suspects was later determined to have been stolen. 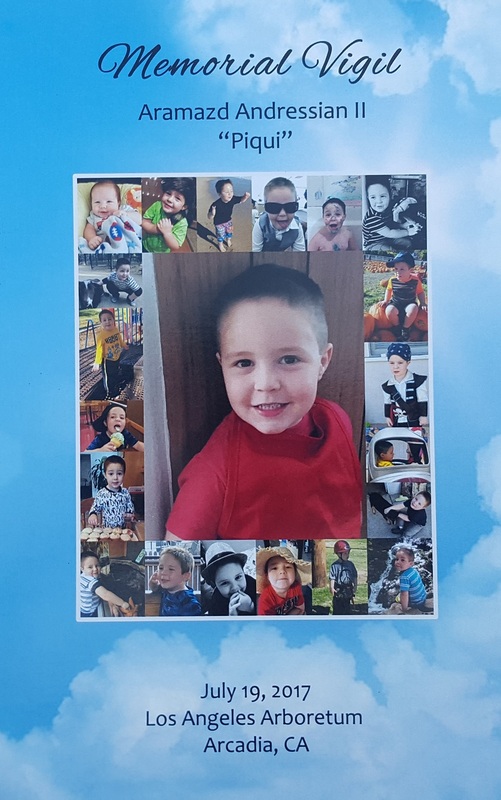 According to booking records, Bihm was being held in lieu of $50,000 bail pending his initial court appearance. Booking information for Helstrom was not available Thursday afternoon.